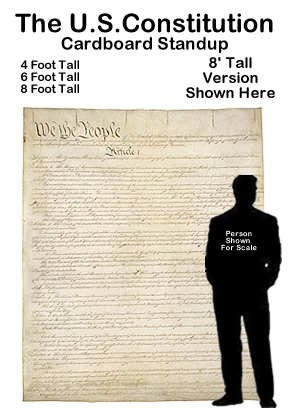 Podium Cardboard Cutout Standup Prop - Dino Rentos Studios, INC.
Command attention at your next political themed or community function with this Podium Cardboard Cutout Standup Prop. This prop stands 4ft tall and is tri-folded for easy assembly. PLEASE NOTE: This is a trifolded flat cardboard prop only. Not 3D. 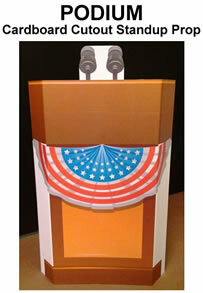 Whether you are hosting a patriotic themed party or staging a children's stage production, this Podium Cardboard Cutout Standup Prop is a great way to instantly theme your area!